Guided by the Holy Spirit, we answer God’s call to live as a community of Disciples of Jesus and his Mission. We strive to ever-deepen in that identity and life by embracing the Eucharist as the foundation of our life, and by proclaiming the Good News through our words and our actions, all so that we might draw others into discipleship and further establish God’s Kingdom. Prayer: With a foundation that is our communal worship offered to God in the Holy Sacrifice of the Mass, we seek to ever-develop the spiritual life of our community and its individuals through a life rooted in prayer, especially in association with the Sacraments. Teaching: We foster life-long learning—in our parish school and in our faith formation programs for all ages, and in preaching—which seeks to form the mind and heart in accord with the Church that Jesus entrusted to his disciples and their successors, utilizing Sacred Scripture, Sacred Tradition and guidance from the living Magisterium. Service: In response to Jesus’ call to serve the least of his brothers and sisters (Matthew 25), we reach out in his name to those in need—the hungry, the poor, the sorrowful, those in the margins—here and abroad (The Corporal and Spiritual Works of Mercy). 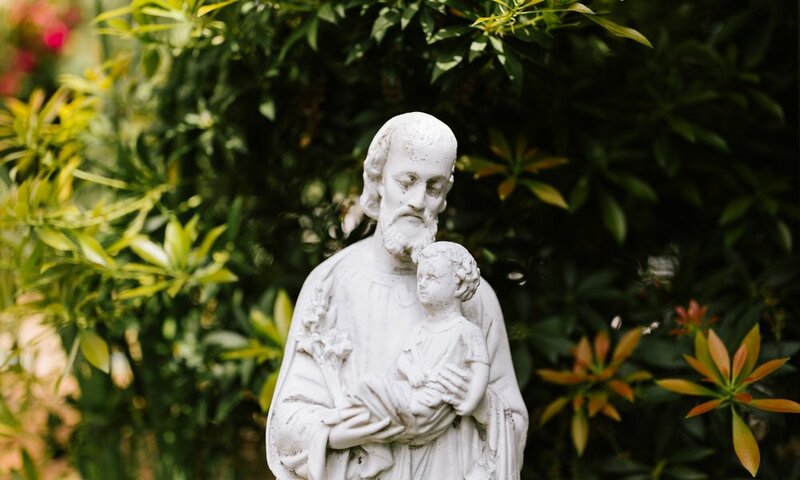 Community: Inspired by the words of St. Paul (1 Corinthians 12), we employ the diverse range of gifts given to us for the work set before this parish and its Mission. We seek to build a loving community of faith, that makes Jesus known to the larger community around us. Daily prayers for you and your family by the priests, deacons and fellow parishioners. Daily Mass and/or communion available to you six days a week. Mass offered for your intention every Sunday. The Sacraments available to those who are homebound. Programs and resources that helps you to form your heart and mind according to that of Jesus. A community that loves you and with you, seeks conversion of heart, leading to deeper life in Christ. Opportunities to utilize your time and talents through various ministries. Regular attendance at Masses on Sundays and Holy Days of Obligation. Stewardship of your time, talent, and treasure: contribute to our parish’s Mission. Nurture the life of the faith in the home: through prayer, learning and honoring the Sabbath. Have an active life of prayer in addition to our parish liturgies. Study the faith regularly, through parish faith formation programs and personal study. Be active in the life of the Sacraments, especially the Eucharist and Reconciliation. Strive to live as Jesus lived: with humility, simplicity and transformative love. Evangelize and draw others into the life of this faith. If you are not currently a member of the parish, we invite you to join us. Click here to register.